If you have an idea, product, or service you need to have a website. No excuses, they are so easy to set up. You don’t need to be a designer or a programmer to create a simple website. As you’re talking to potential followers or clients you need to be able to send them someplace to get more information. That is where your website comes in. There are tons of beautiful one page website that do the trick. Don’t over think it. Write down the purpose of the website and that will help you determine your next steps. If you don’t want to create it you can always have a designer and/or developer help you, but you still need to understand what the different platforms can offer you. If your idea is really complicated or you need to accomplish a very specific style, going with a trusted and vetted professional may be the best way to go, but remember you get what you pay for. 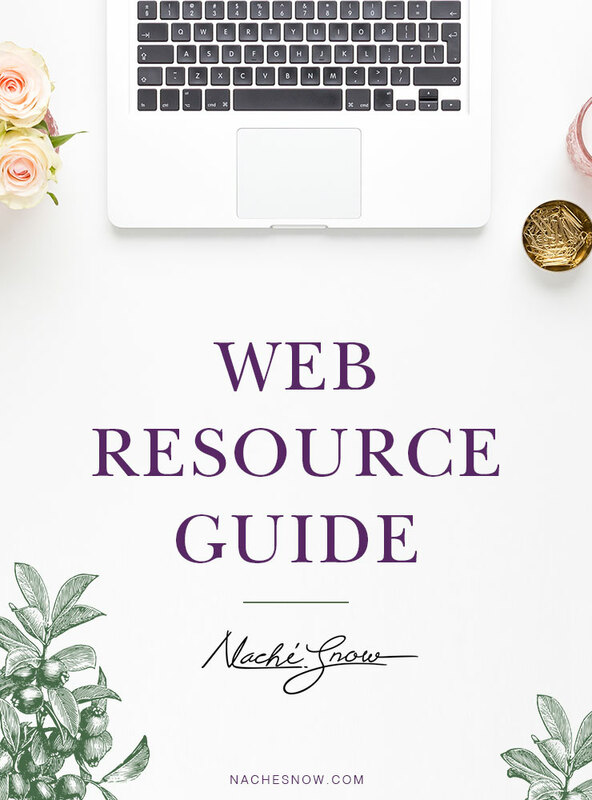 CLICK HERE FOR COURSE: How to Create a Website in 2017: A Step-by-Step Guide for Beginners . It’s Free! Sign up for Google Analytics and incorporate it into your website. You need to know who’s visiting, from where, and how often so you know how to improve your content. They also have a app. This site will allow you to track the health of your site. Once logged make sure you submit your sitemap. You can find out if you’re getting crawl errors and Google will also provide search analytics for FREE! If you decide to do a self hosted WordPress web site this resource is amazing. If you don’t know what to do first check out their Start Here page. What you can’t find there Google will have. If you have chosen to only sell your products via Etsy this is a great option. Easily turn your listing page into a beautiful website. If you are selling physical products you want to use Shopify to build your website. My site, CreativeRoute.com, is built on Shopify and I love it. Mainly because they have amazing mobile apps, sales channels (Facebook, Pinterest, etc. ), and awesome templates. They make it easy to sale and track. The site you’re on right now is WordPress. I’ve paid for a premium theme and I customized the design and content to meet my needs. There is a bit of a learning curb. Some people pay designers/developers to create their website because it can be time consuming and challenging if you’re unfamiliar with it. WordPress is known for it’s variety of plugins, to include: calendars, ecommerce, and SEO to name a few. Awesome templates and very easy to use. Perfect for someone who needs a quick and/or simple beautiful website. They do have ecommerce templates; however, they do not have an app that can take payment. These are needed if you decide to self host your website and use a platform like WordPress. I currently use them for all of my self hosted websites. Recommended for WordPress websites by several business bloggers and podcasters. WordPress.org also recommends them. This host is a bit more expensive, but I’ve heard great things about them. There are a ton of WordPress plugins. This is my must have list. Pick the ones that make sense for your business. Too many plugin will slow down your website. Sign up for a free account! This plugin will help block tons of spam comments. This plugin will allow you to publish your podcast on your website. However, you still have to apply to get your podcast picked up on iTunes and Stitcher. This plugin allows you to create a a quote that can be easily tweeted by your visitors. If you’re using ConvertKit to collect emails you should use this plugin. I am currently using it on this website. This plugin was created by WordPress and has a ton of options that help you with image performance, editing CSS, site security and more. If you’re using MailChimp to collect email addresses you should install this plugin. This allows you to create custom links to share. For example, the link to the Studio 78 podcast on iTunes is https://itunes.apple.com/us/podcast/studio-78-with-nache-snow/id1185762874?mt=2, but with Pretty Link I create this link: https://nachesnow.com/itunes. It looks a lot better when you’re sharing your link on social media or via email. If you have an older site this really comes in handy. Let’s say you have to get rid of a page/post or if for some reason you notice that people are constantly going to a dead link you can use this plugin to redirect them to another page. This is what I use in my Studio 78 podcast show notes. It’s a beautiful media player. SEO stands for search engine optimization. All you need to know is it helps Google find you. This is one of the best plugins around.